This post was written by Cynthia Swanson, author of The Bookseller: A Novel. 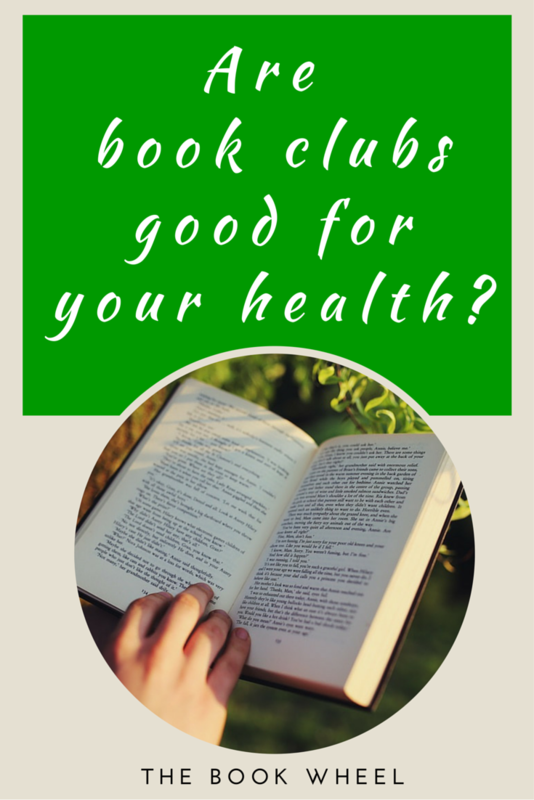 Perhaps you saw the article last month – the one that claimed groups such as book clubs are good for one’s health, especially after retirement. In a study of UK retirees, researchers found that participants who belonged to two or more social groups had very low death rates six years after retirement. For those who dropped one of their groups, the rate went up. For those involved in no social groups, the death rate was significantly higher. Many people – of any age and demographic – would attest to this. Human are social creatures. While some of us (raising my hand here) are introverts generally, we also thrive on at least some social interaction. The levels can vary from among individuals – but most people find fulfillment among like-minded others. All well and good. So why not just join a chess club or church choir instead? Well, you might, if that’s where your interests lie. But I’ll take it one step further and say that not just any social group, but a group that revolves around books, is beneficial to one’s health and well-being. I have no concrete data for this. I only go on the following observations, based on the fifteen years I’ve been in a book club, as well as my experiences meeting with the dozens of book clubs since The Bookseller came out last year. Book people are contemplative. Yes, engaging conversation is possible within any group. But there’s something about reading a “book club book” – knowing that after you’ve turned the last page, you’ll be expected to share thoughts about what you read – that makes the reading process more careful and deliberate. In our chaotic, fast-paced world, this slow-down benefits us both short- and long-term. Books take us outside our own worlds. I love this quote from Katherine Paterson: “Reading can be a road to freedom or a key to a secret garden, which, if tended, will transform all of life.” Taking it one step further, book clubs expose us to books – and consequentially worlds – we might not have otherwise known about. For me, one of the most gratifying aspects of being in a book club is reading books I didn’t select. As an author, when I read for “pleasure,” I often read books in the same genre I write in. I take notes. I think about why the narrative is effective (or not). In contrast, the books chosen by others in my book club take me outside of myself and my work. I’m free to luxuriate in the simple experience of reading. One book leads to another. I’ve discovered many a favorite new author because of book club reads. My social circle (both literal and figurative) expands. Whether I reach out to authors personally, or simply follow them on social media and add their other books to my To-Be-Read list on Goodreads, I feel I’ve made a new friend. My book group has significantly increased my well-being. Time and again, I see this in book groups I meet with, too. We talk about favorite authors. We compare notes about what we love to read. The groups laugh together; they listen with genuine love and concern to all that’s shared. I’ve met with book groups that formed last month, and groups that have been together for twenty years. Either way, they know they’re among friends. And they’re feeling fit as a fiddle about that. Cynthia Swanson is an author and a designer. She has published short fiction in numerous journals and has been a Pushcart Prize nominee. Her debut novel, The Bookseller (HarperCollins), was published in March 2015, releases in paperback on March 22, 2016, and is being translated into 11 languages. The Bookseller was an Indie Next selection, a 2015 Goodreads Choice Award Nominee for Historical Fiction, and is a nominee for the MPIBA Reading the West 2015 Award. Learn more about Cynthia and The Bookseller at www.integritymodern.com.